Dalhousie University blends excellence in academics with world-class research and innovation. Established nearly 200 years ago, Dal is one of North America’s oldest and most welcoming universities with campuses in Halifax and Truro. Dal offers more than 180 programs at the undergraduate, graduate and professional levels. We are a leading research university in fields like ocean studies, health and wellness, clean technology, governance, society & culture and more. You don't have to wait to get your hands dirty — we have plenty of hands-on research opportunities for undergrads. Our professors are strong mentors who will challenge and inspire you. Your classes will range in size from small tutorials of 12 students to larger lecture style settings and you’ll find a variety of student support services to assist you. You'll join a thriving and dynamic community with a rich tradition of leadership and community service. Over 450 clubs and societies are available in addition to volunteerism, on-campus employment and leadership development programs. 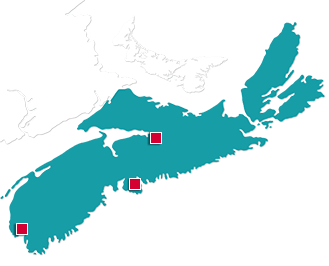 Just an hour away from Halifax in Truro is our Agricultural Campus, the centre for modern agricultural study and research in the Atlantic region. As a living-lab the Agricultural Campus offers hands on experience blended with classroom learning and extracurricular activities.